Protecting and enhancing the environment while saving you time and money is the ultimate goal for our team of environmental experts. Through a holistic, multidisciplinary approach, we strive to balance natural resources and the built environment. Current knowledge of regulations, emerging issues, and best practices enable us to address challenges proactively. Regardless of project complexity, we’ll help you navigate the permitting process and explore strategic solutions for achieving regulatory compliance. From streets and highways to parks, trails, and drinking water, our project experience is diverse and evolving. Continuous education and training keep us current in the industry as we work to pioneer solutions that preserve our natural resources and encourage economic development. Recent innovative solutions include the Black Hawk Mitigation Bank, the first stream mitigation bank in the state of Iowa, and Squaw Creek, which utilized rock arch rapids as an alternative to dam removal. We take pride in our ability to implement new environmental solutions that help our clients achieve their goals. Phase I Environmental Site Assessments (ESAs) are a vital part of the due diligence and decision-making process for lending and purchasing decisions and are also incorporated into NEPA documents. Phase I ESAs are completed in compliance with ASTM Practice E 1527-13 and the All Appropriate Inquiries Act under the Small Business Relief and Brownfields Revitalization Act of 2002. Under the Comprehensive Environmental Response, Compensation, and Liability Act, an environmental site assessment can provide the basic supporting documentation to protect against corporate and/or personal liability. We offer a broad range of environmental consulting services tailored to meet your needs. We serve industrial, utility, municipal, and commercial clients with NEPA documentation, wetland and stream delineations, federal and state agency permitting, due diligence, SPCC, and SWPPP development. We offer a complete package of services, including design, identification of key concerns, scientific investigation and analysis, concise and easy-to-understand reporting, and liaison with governmental agencies. These services help our clients balance the economic viability of projects with responsible stewardship of the natural environment. Section 7 of the Endangered Species Act requires consultation with the United States Fish and Wildlife Service (USFWS) for projects that may affect threatened and endangered species or their habitat. State and federally listed species and their habitat must be surveyed and protected during project planning and construction activities. In-depth knowledge and extensive experience enable us to accurately and efficiently identify listed species habitat in a project area, assess habitat values, prepare mitigation solutions, and obtain permits. 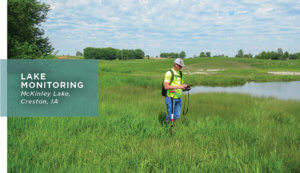 Grounded in over 20 years of experience, our environmental science team provides consulting services starting with wetland delineation through wetland impact assessment. Our wetland delineation staff are certified in the U.S. Army Corps of Engineers (USACE) standard delineation methodology. Expert knowledge of wetland vegetation, hydric soils, and wetland hydrology enable us to complete delineations that are uniformly accepted by federal and state agencies without costly re-investigation. While regulatory preference is to avoid and minimize impacts to streams and wetlands, it’s not always practical. We understand Section 404 of the Clean Water Act and can assist with federal and state permitting, jurisdictional determinations, mitigation planning, design, and compliance monitoring. 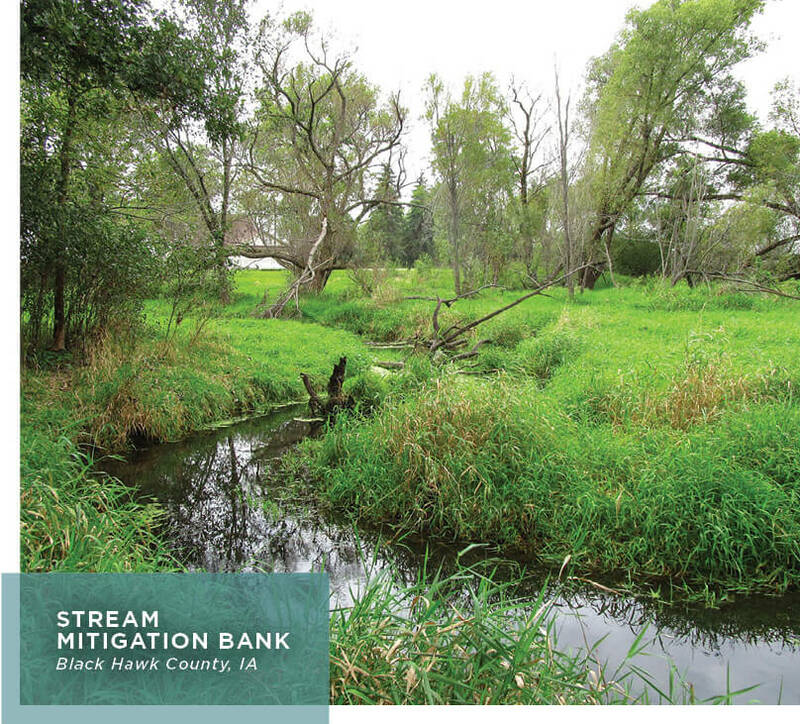 When compensatory mitigation is required to offset impacts to U.S. waters, we develop mitigation plans that are cost-effective while meeting permit requirements. We have experience completing the planning and design of successful wetland and stream mitigation sites. A thorough understanding of planning documents, such as biological assessments and alternatives analysis, helps us promptly obtain permits. Mitigation could be in the form of purchasing mitigation bank credits or permittee-responsible mitigation. Permitting success is critical to project success. We have the proven ability to work and negotiate with agencies, such as the USACE, USFWS, U.S. EPA, and multiple state natural resources departments. Our goal is to identify permitting needs early in the process to maintain project schedules. The Clean Water Act requires permits from the USACE for projects that will alter or change environmental resources. USACE 404 permitting occurs when a project impacts jurisdictional waters including wetlands, streams, rivers, and lakes. Our team can identify early in the scoping and design phase when a 404 permit is required from the USACE. Obtaining permits in advance of construction helps ensure the project starts on time. Our expertise in on-site mitigation, off-site mitigation, and mitigation banking can provide a solution for aquatic resources that are impacted by projects. Close working relationships with the USACE, along with state and local floodplain regulators, help us mitigate potential permitting issues and gain important insight on proposed projects. Identifying and addressing potential floodplain issues early on during project development helps us navigate the regulatory process. The National Environmental Policy Act (NEPA) requires proposed actions that involve federal funds or permits to be evaluated for potential effects on the social and natural environment. The NEPA process evaluates possible alternatives to a proposed action and incorporates measures to mitigate adverse impacts. Public involvement and an interdisciplinary approach are an essential part of the NEPA decision-making process. Thank you for all of your help and assistance in 2016, you have been wonderful to work with. Athene could not have accomplished it without you and your team’s assistance these past several years.